Hives are an inflammation of the skin that are identified by their pink or red tones and itchiness. 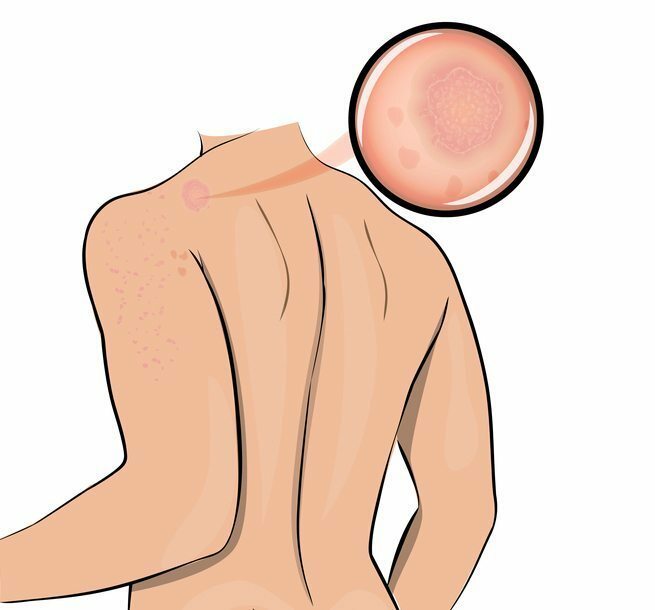 Hives look different from person to person, ranging from tiny dots to large welts. Sometimes, hives occur as the result of an allergic reaction. But for some people, hives can appear without warning, regenerating and staying for weeks or months on end. Dermatology patients who have hives for more than 6 weeks are diagnosed with having chronic hives. Hives that appear and disappear in less than 6 weeks are known as acute hives. In most cases, they do not present any serious health threat. However, they can be uncomfortable, unsightly, and inconvenient. Severe cases of hives may cause serious health complications. The airway can swell shut or nearly shut, impairing breathing and swallowing capabilities. Anyone with these types of symptoms should seek immediate emergency help and use an EpiPen (if prescribed to you) to protect yourself from anaphylaxis shock. Do I need dermatological treatment for hives? If you have suffered with or are currently suffering from a bout of hives, you should seek the care of a dermatologist. Though most hives are benign, some are an indication of an underlying disease. A physical exam, lab work, and other tests may reveal the cause of your hives and also help determine the best course of treatment. Some hives go away on their own. Others require a doctor’s intervention to prevent and treat them. What should I expect during hive treatments? The first line of defense for hives is an antihistamine. Your dermatologist may prescribe one to help alleviate itching and also prevent new hives from developing. You may be advised to take your antihistamine simultaneously with other topical and oral medications, such as steroid creams, antibiotics, and anti-inflammatories. Is there anything I can do to prevent hives? Hives are very common, and literally anyone can get them. If your hives occur in acute and sporadic episodes, you are probably suffering from an allergy. The easiest way to avoid them is by avoiding the external factors that are known to cause them, such as pets, insects, certain medications, dairy, nuts, shellfish, eggs, and fruits. You may benefit from allergen testing to determine if there are any substances or environmental factors you should avoid in order to prevent hives.